Cinderella's Gowns offer a large collection of Jovani Homecoming dresses in our prom store serving all of the southeast. With many of our customers driving from neighboring states like North Carolina, South Carolina, Alabama, Tennessee, and Florida to find their Jovani Homecoming dress. 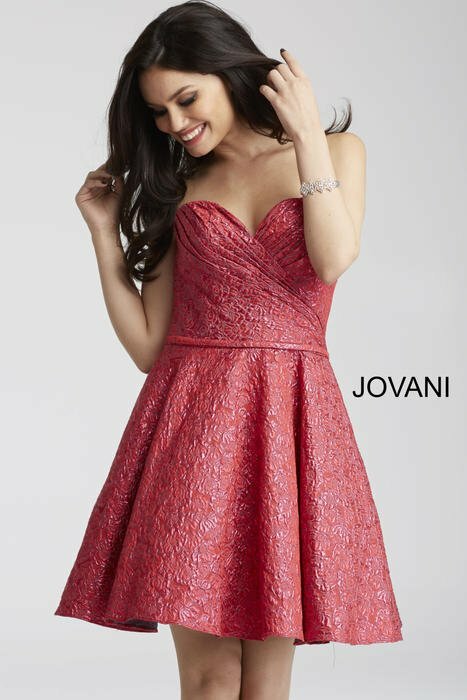 Jovani Homecoming has a perfect dress for your homecoming dance from halter style dresses to v-neck dresses and from all over sparkle to simple and glamorous.